Kids listening to President Barack Obama’s story during the White House Easter egg roll started screaming in horror as a bee interrupted their activity. 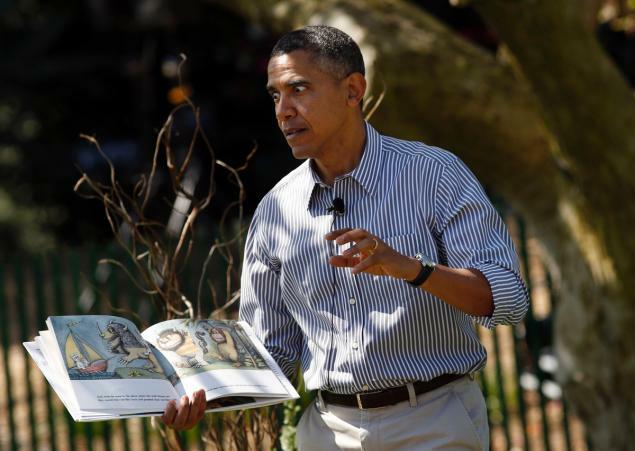 Barack Obama, who was reading from Maurice Sendak’s Where the Wild Things Are, laughed as he tried to calm the youngsters down. “Wait wait wait wait,” the president said, laughing. “Bees are good. They won’t land on you. They won’t sting you. They’ll be okay,” Barack Obama said.